Low water pressure really is the bane of any homeowner’s existence. Whether it occurs in a single area in the house or at literally every fixture in the house, you’re going to want to fix it at some point. While this won’t be cause for any emergency, it can be indicative of an impending danger waiting to pounce on you when you least expect. If you live in London and you need an emergency plumber, London is, of course, full of plenty of willing and ready pros. But, there are many different causes of low water pressure, and most of them aren’t going to require any urgent repairs. 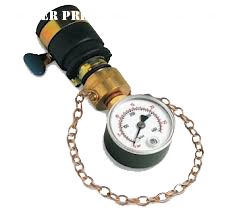 In fact, some water pressure problems can arise out of something that you have almost no control over. For instance, if your house is located at the end of a municipal water line, the water pressure is obviously going to be limited. 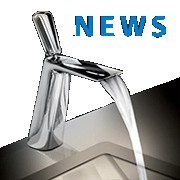 You’ll still get some water pressure, but houses that are closer to the head of the water line are going to be provided with a heftier water flow in general. To increase the pressure in your house, you can install a simple booster pump that will accelerate the speed at which water comes out of your fixtures. Of course, if the low water pressure is limited to a single fixture (for instance, the shower), then this can be problematic and frustrating. Any wholesale repairs that aim to fix the water pressure in the entire house probably won’t work if you just have a malfunctioning showerhead. In general, you won’t need to call up an emergency plumber in London and you can really just replace the fixture or try to clean it up so that water moves more smoothly through the holes. With many fixtures (including shower heads) you can use a water and vinegar solution to break up any mineral deposits that might be restricting the flow. If neither of these solutions fixes your problem, then the pipes in your house might just be too small or too corroded to produce proper water pressure. In either case, it’s likely that you’re going to need to do some wholesale pipe replacements so that you can get an adequate flow to your house. Many old houses might still have galvanized pipes for their water systems. While these pipes don’t corrode as easily as steel pipes, they are still susceptible to rust that might build up over long periods of time. In any event, replacing the pipes might be necessary if you want to achieve a proper water pressure. All in all, water pressure might not seem like a big deal to some people, but it could have some underlying issues that might manifest themselves later on. Indeed, low water pressure could be caused by corroded pipes which might be capable of bursting and causing much more damage to your home than necessary. Before you make the call to an emergency plumber, London can provide you with plenty of other regular plumbers who won’t charge you an arm and a leg to replace your pipes.